The CEO of Barnes & Noble has been fired for unspecified violations of company policy. CEO Demos Parneros will not be paid severance and will be removed from the board immediately, the bookstore chain said late Tuesday. Barnes & Noble said the board was advised by a law firm in deciding to fire Parneros. The company did not announce a reason for the firing. It said only that the CEO was not let go because of any disagreement about "financial reporting, policies or practices or any potential fraud relating thereto." The company also reaffirmed its profit guidance for the current fiscal year. A spokesperson had no further comment. 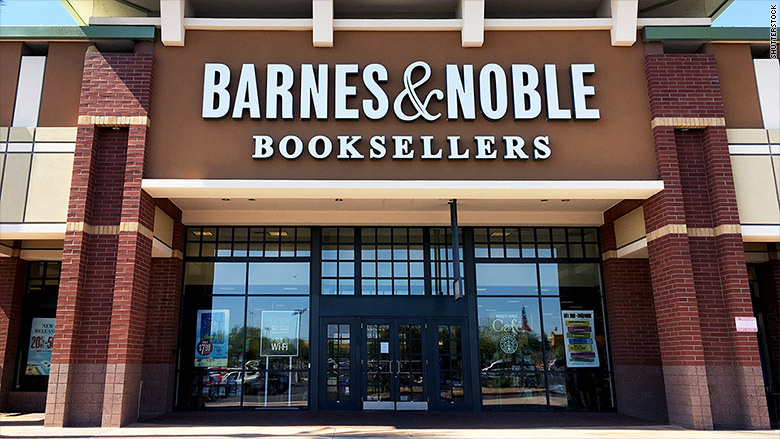 Barnes & Noble (BKS) said it would begin looking for a new CEO. In the meantime, a leadership group, including the chief financial officer, will handle the CEO's duties. Parneros, 56, joined the company as chief operating officer in late 2016 after a career at Staples, the office supply chain. He was named CEO in April 2017. Barnes & Noble operates 630 stores in the United States and has 23,000 employees. It was one of the first traditional retailers to be hurt by the growth of Amazon (AMZN). Sales have declined each of the last five years, and the company has lost money in three of those years.